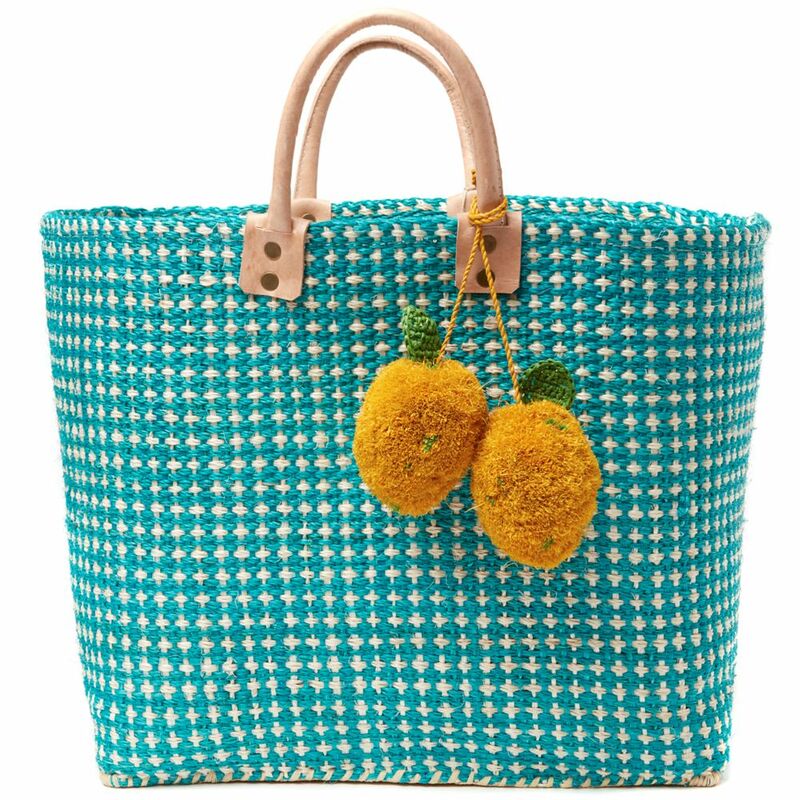 Fruit-shaped pom poms and a contrasting hatch pattern give Hadley her distinctive look. These playful details also make this carryall perfectly suited for just about any setting from a stroll in the city to a long and lazy day at the beach. 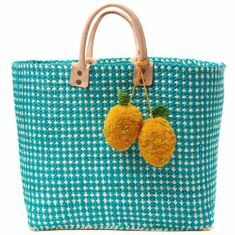 Handwoven sisal and seagrass with raffia pom poms, an inside pocket and leather handles. 17"h x 13"d x 8.5"w with a 4.5"strap drop - Approximate dimensions, each piece is handmade.